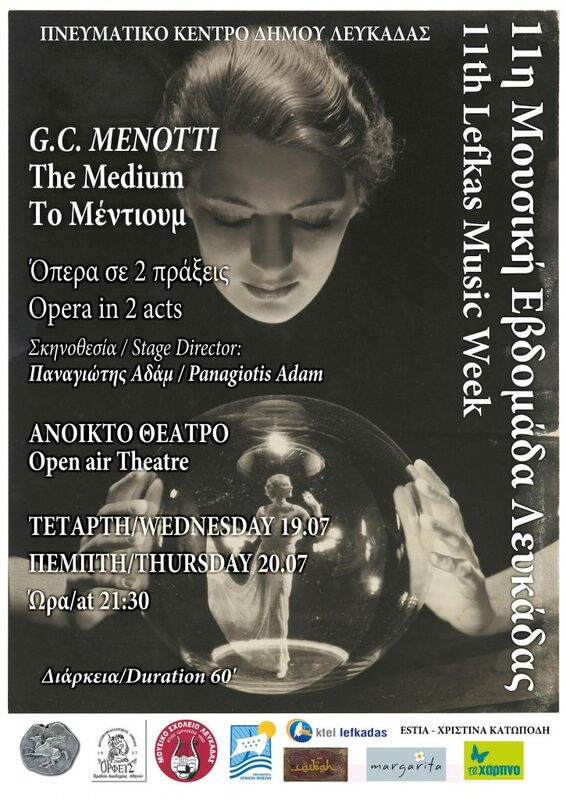 The opera «The Medium» by G. C. Menotti will be performed on July 19th and on July 20th at 21:30 at the Open Theater of Lefkada. Madame Flora, with the help of her daughter Monica and Toby, a mute servant, tries to cheat her clients through faked seances. She is touched herself by a hand during one of them, an occurrence she cannot explain and which leads to a dramatic end. 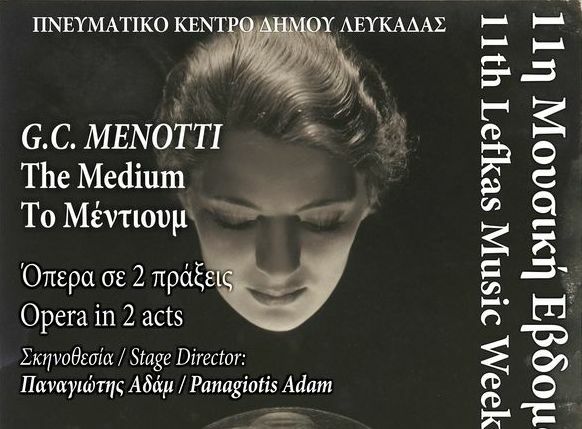 Τhe orchestration in our production is for piano trio.